Longtime Starbucks CEO Howard Schultz, known for weighing in often on social issues and associating the brand with causes, is stepping down from the role, the company announced today. Current president and COO Kevin Johnson will become CEO of the company, effective April 3, with Schultz remaining executive chairman. In a statement announcing the change, Schultz said: "As I focus on Starbucks next wave of retail innovation, I am delighted that Kevin Johnson—our current president, COO, a seven-year board member and my partner in running every facet of Starbucks business over the last two years—has agreed to assume the duties of Starbucks chief executive officer. This move ideally positions Starbucks to continue profitably growing our core business around the world into the future." Schultz became CEO in 1987, left the role in 2000 and returned in 2008. Throughout his leadership, he has been responsible for Starbucks' involvement in social issues, including his 2013 request that customers not carry guns into stores, a move that sparked praise and criticism on Twitter. He also helmed Starbucks' long history of employee-friendly policies, including offering health insurance to both full- and part-time employees and paying for employees' college tuition. Starbucks was criticized most recently on Twitter for its green cups, which were intended to unite Americans after the election and "represent shared humanity and connection, serving as a symbol for stitching people together as a united community." 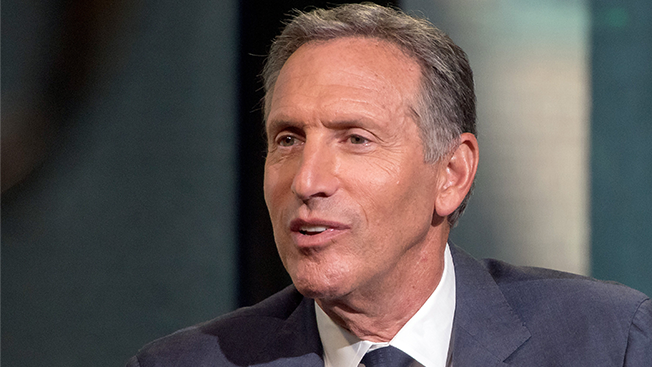 The day after the election of Donald Trump, Schultz sent a note to Starbucks employees saying, "We cannot know what the precise impact will be on our country and the rest of the world. I am hopeful that we will overcome the vitriol and division of this unprecedented election season." The New York Times reported that Schultz's departure is sparking speculation that he could enter politics.